Bishop Gorman plays top-seeded La Lumiere (Indiana) at 1 p.m. Thursday in the GEICO Nationals in New York City. The game will be televised on ESPNU. 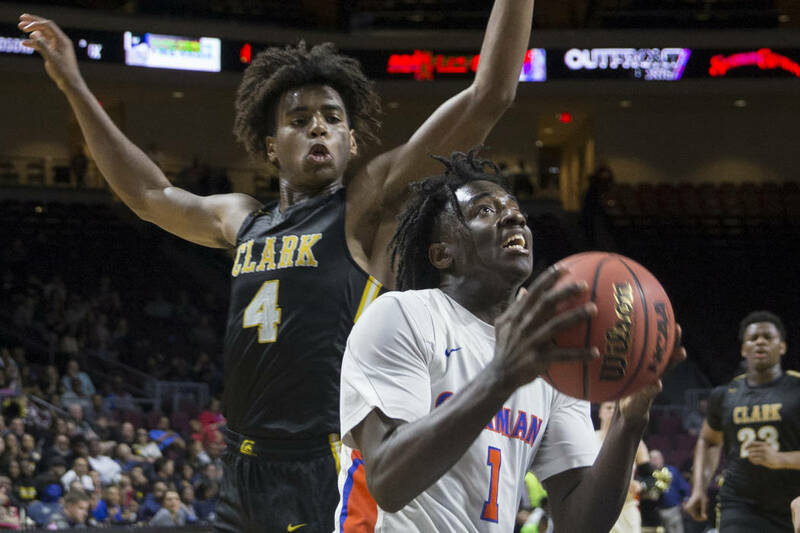 After Bishop Gorman hoisted the boys state basketball championship trophy for the eighth consecutive season, the players went through some uncertainty about whether their season actually was over. All of them except for sophomore wing Will McClendon. He had no doubt that the Gaels would get an invitation to play in the GEICO Nationals, which begin Thursday in New York City. 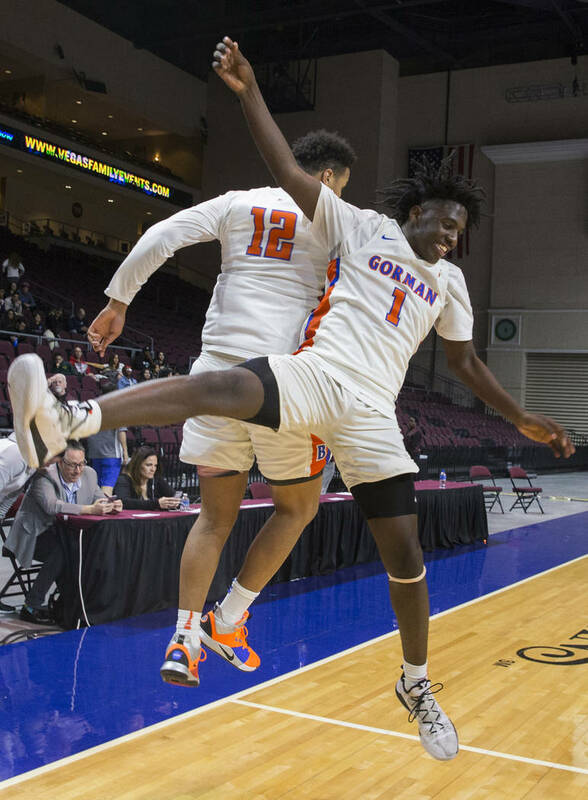 The rest of the team didn’t find out until March 15 when McEachern (Georgia) pulled out of the tournament, opening a spot for Gorman (28-4), which will be the No. 8 seed in the tournament. The Gaels play top-seeded La Lumiere (Indiana) at 1 p.m. The game will be televised on ESPNU. 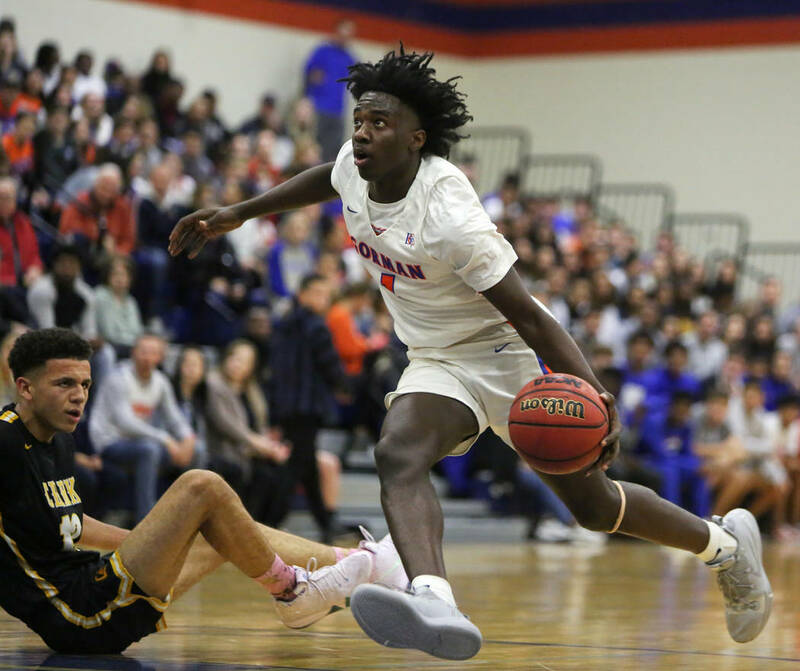 Gorman coach Grant Rice said there were a few scenarios after the season that could have led to an invitation for the Gaels, but those didn’t materialize. Rice said the team then thought it would go because McEachern was going to decline its invitation, but the Indians decided to go only to pull out five days later. “So it’s been kind of up-and-down,” Rice said. McClendon said it was different to be practicing with the high school team in late March and early April. “It feels weird, but we’re used to playing basketball year-round, all of us,” he said. Rice said that meant the players were in shape and it was just a matter of getting them back on the same page. 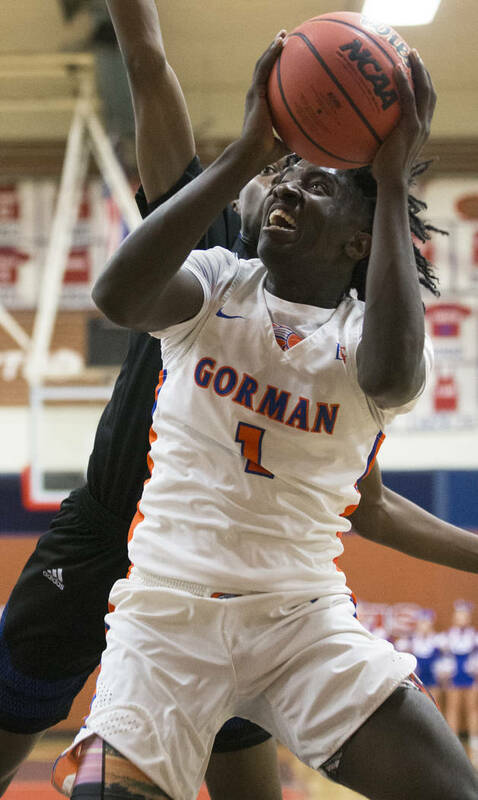 It will be Gorman’s second shot at top-ranked La Lumiere. The Lakers (28-0) beat the Gaels 67-54 in the Cancer Research Classic in Wheeling, West Virginia. McClendon said the players are ready for their shot at the national tournament. The other seven teams in the tournament are ranked in the top 25 nationally by USA Today. More preps: Follow at nevadapreps.com and @NevadaPreps on Twitter. Contact Damon Seiters at dseiters@reviewjournal.com or 702-380-4597. Follow @DamonSeiters on Twitter. Sunrise Christian (Kansas) vs. IMG (Florida), 9 a.m.
University School (Florida) vs. Montverde (Florida), 11 a.m.
Bishop Gorman vs. La Lumiere (Indiana), 1 p.m.
Wasatch Academy (Utah) vs. Oak Hill (Virginia), 3 p.m.